Carlos Botero- Born in the city of Medellín, Colombia, Carlos obtained his High-School Diploma in Arts at the Instituto Musical Diego Echavarría in the same city, graduating with honors in 1997. He went on to receive a Bachelor of Music with honors in viola performance at Universidad EAFIT in Medellín, a Master of Music degree from the Escuela Soto-Mesa in Madrid, Spain, and a second Master of Music- Viola Performance degree from Eastern Michigan University in Ypsilanti, Michigan. He received his doctoral degree in Orchestral Conducting at Michigan State University in 2011. Carlos strives to change young musicians' lives through music making. 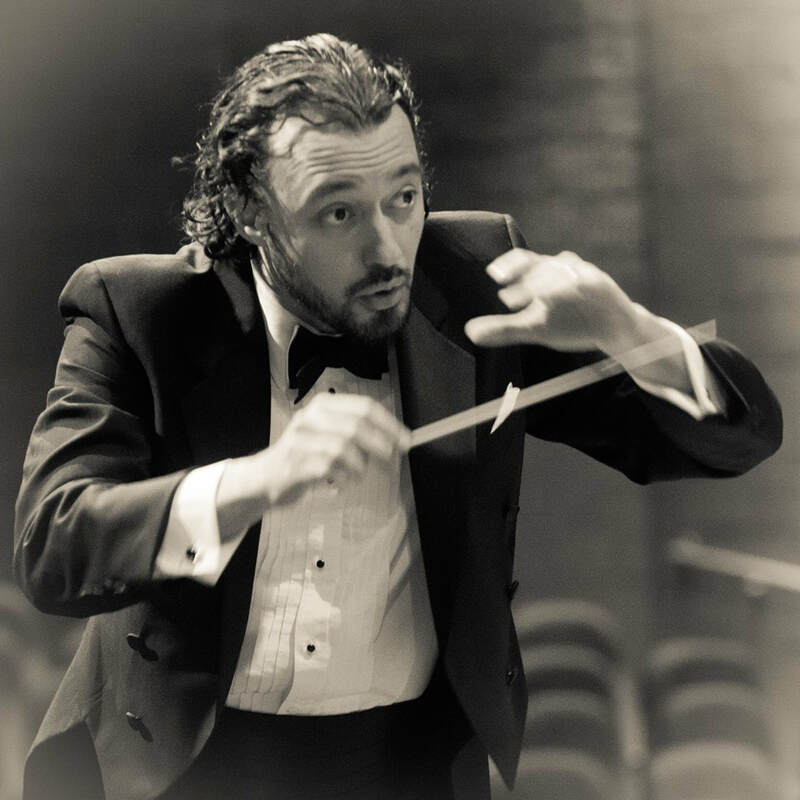 Carlos Andrés Botero is Musical Ambassador/Assistant Conductor for the Houston Symphony. Carlos has acted as Guest Conductor with the Alabama Symphony, Bogota Philharmonic, Cali Philharmonic, UNAB Symphony, Great Lakes Chamber Orchestra, Orquesta Sinfónica Eafit in Medellín and the Filarmónica de Medellín. Every summer, Carlos is the main conductor of the Aruba Symphony Orchestra. He also leads the team of researchers that delve into the Colombian Symphonic Music with the Filarmonica Joven de Colombia.